This look at Parshat KiTissa is not going to be a very intellectual undertaking, because intellectualism doesn’t comfort the realities of our pain. This is a look through the eyes of belief; belief that our lives matter, and we deserve dignity, and as dignified beings our sufferings have purpose and merit. May you be strengthened! Our parsha is named after these key words, “ki–tissa et-rosh” in reference to the commandment of taking the census, however literally these words mean “when you lift the head.” This is also a colloquial phrase that we see similarly used in Genesis 40:13, where we see the phrase, “yisa Paroh et-roshecha / and Pharaoh will lift your head,” meaning to be singled out, given special consideration, to be put on the spot. If we look closely maybe we can find direction for what to do when situations in life seem to be singling us out, when difficulties seem to be squarely directed at as. In Parshat KiTissa we find that the children of Israel are engaged in the Exodus from Egypt and are encamped at the base of Mount Sinai. This is one of the most pivotal points in all of Jewish history. As wonderful as the story is of Moses descending with the tablets containing the Law of G-d on them should be, this account is almost immediately overshadowed with the tragedy of the destruction of the first two tablets of the Ten Commandment. And too often we quickly glance over the second part of the story, as the revelation of Torah is redeemed from the catastrophe and a second set of tablets are made. But before we get there let us familiarize ourself with where we are at, both in the story of the Exodus, as well as our timing in the order of the readings of the Torah portions. Because even in this account there is an amazing lesson. I find this to be such a beautiful statement. As one reads through the Torah’s descriptions of the Tabernacle and all its elements it all begins to seem so overwhelming, so awesome in form and sheer size that it seems almost impossible to imagine, let alone build. Even to this day, great minds stumble on trying to conceive of this holy place in all its wonder. I can only imagine that even more so to our ancient ancestors this must have seemed something miraculous to perform. But if it didn’t already lean on the miraculous, it most surely must have when G-d reveled His choice of architect, Bezalel son of Hur. We are told in Talmud Sanhedrin 69b that he was 13 years old when he made the Tabernacle! Impatience as doubt: the people were so crippled by doubt that even if they could accept that G-d could divinely work through them, they looked at Bezalel as a mere boy and incorrectly assumed that they would have to wait for him to grow to be a man before he could complete his work. They were unwilling to wait, this is reiterated in the people’s inability to wait for even 40 days for Moses to descend from the mountain and instruct them. The true tragedy is that in the people’s choice of creating the Golden Calf they were seeking out what was fast and easy; an image that was familiar to them, in the form that was immediately available. It is my hope that as we read this section of the Torah we grasp on to the truth that G-d is still in the business of refining His people! It is my sincere hope that we all learn to grasp hold of a youthful heart like that of young Bezalel, that is malleable and open to being guided by the natural wisdom and ability placed in us by G-d to rise to the challenges presented to us in this life. Of course as the story goes on we find that Hashem commands Moses to go down from the mountain carrying the tablets of the Law presented to him by G-d Himself, as the people had broken out into adoration of the Gold Calf. 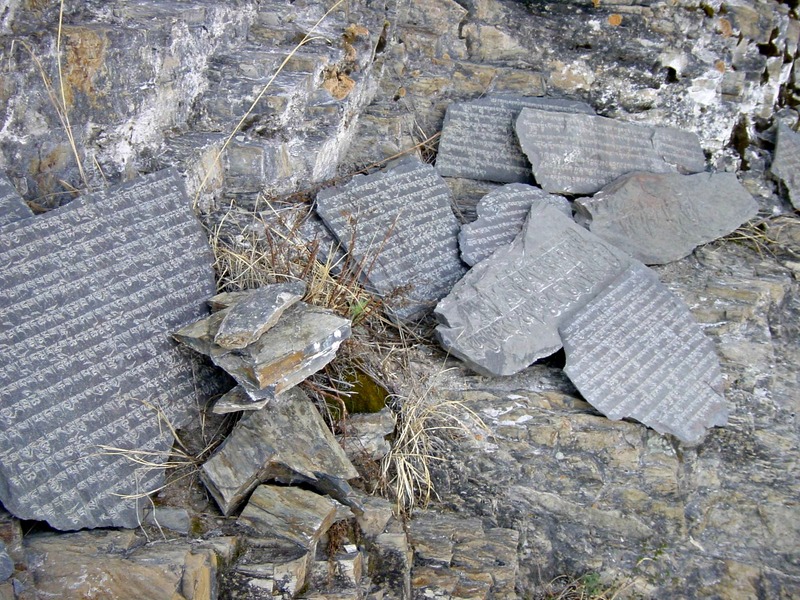 As we know, the first set of tablets are destroyed. This parsha becomes very personal to me at this point. I have often considered the situation surrounding the presentation of the tablets. What should have been a time of rejoicing seemingly turns into a disaster. It appears as though when the tablets of G-d’s Law are smashed so too are the promises and hopes for them. And this is where my heart has been reflecting. How often have our dreams taken form in amazing shape and color, only to crash down and left in a smoldering heap? on one side and the other. This statement can also be correctly read to meant that the writing was not necessarily written on all sides, but that it was visible from both sides, thus the Midrash suggesting the tall tale that the tablets were made out of Sapphire. Both the Torah and our Tradition suggest that these tablets were something unique and wondrous. As I read this parsha I began to be comforted, and I started to understand the position of Chassidut (mystical tradition) that the second set were superior to the first. I had always wondered how this was so. How could this be? One would think that because the first set were priceless and heavenly in composition they would be superior to a set made out of ordinary stone cut by the hand of man. But it is precisely because this second set were “ordinary” in origin that they were far more extraordinary than the first. Something created by the Divine is wondrous, but that is what we would expect, so it is not surprising. But what is surprising is when G-d takes ordinary things, in fact second chances of crude means, and elevates them to holiness equal to anything He could miraculously create. In Chassidut we learn that every descent is for the purpose of an ascent. That sometimes things in life, challenges and failures are merely a vehicle that Hashem has sent our way to get us to a higher spiritual place. Something things have to be broken in order for us to appreciate the intervention of G-d in our lives! We go on to read that Moses did in fact carve two stone tablets like the first and carried them in hand up the mountain. (v.4). Then we read that G-d sealed a covenant with Israel, and then lays out the major traditions and holidays of the Jewish people. (v.10-25) When these things are spoken G-d then tells Moses to write the words of this covenant down for himself (v.27). But I love how the Artscroll translation correctly changes the inflection at this point when it comes to the Tablets and goes on to say, “vayichtov al-haluchot et divrei habrit aseret hadevarim / and He wrote on the Tablets the words of the covenant, the Ten Commandments.” This is in agreement with verse 34:1 when G-d says, “I shall inscribe on the Tablets.” This position is also supported by the Rashbam and Ibn-Ezra. And this is one of the most beautiful lessons of the Torah. That if we take our second chances, no matter how crude and mundane they appear, and present then before Him He will reach in and touch them with His own hand and make them holy! And this, after all, is the purpose of Torah and very meaning of holiness; to take ordinary things and elevate them to greatness! Where can you point to G-d in your life? One the greatest pleasures I have in my life is to be able to work with newly religious people and converts. Often times I find myself instructing those that have come home to Judaism because of their infinity with its message of justice and on account of the intellectual rightness of the faith. But many of these people come after seeking answers in the arms of other religions and dogmas, even people who followed personality cults or evangelists. Sometimes I have found people confiding in me that these religious experiences seem much more emotionally appealing than Judaism and it’s correctness. This often comes to the surface when people experience low points in life, and it causes a crisis of faith. She seems to have unsophisticatedly asked the question that many people often ask when they find themselves at an impasse with their Jewish faith, is the G-d of Judaism so transcendent that He has no virtues of closeness to us? I want us to answer that question for ourselves today. Where is G-d when we need to find Him in our lives? Also, why do we tend to depersonify our Judaism; why do we make G-d above being a person and push aside any personality in our faith? This verse has all the richness and meaning as that of the Islamic Shahada (“This is no god but Allah, and Muhammed is His prophet…”), a paramount statement of faith for them. These are epic words. This is the perfect moment in Judaism, here at the height of Israel’s salvation. The patriarchs had pointed forward to this moment, and all the prophets would look back to it as bearing witnesses of G-d’s greatness in crushing injustice and showing mercy towards His people. The enemy Egyptian army is vanquished under the waves and the people have gone free. Seeing all these miracles the people believed in G-d and in His prophet. But strangely in the commentary of this verse we don’t see any great praises of Moses our Teacher, peace be upon him, instead it passes him right over. We have a phenomenal statement, but what does Rashi do with this text? Instead of taking a moment to pine upon Moses, our ultimate teacher, we instead see him distancing himself from a personality cult. He goes even one step further by choosing to take a moment to challenge anthropomorphism – the description of G-d by human characteristics. In this verse of commentary our tradition goes even above and beyond the tone of even our closest common faith, Islam, which also abhors physical descriptions of G-d as well. Our tradition stands out as even more abstract than that when it chooses to sideline even our prophet, maybe even more than he need be. At times we seem even cold and detached in comparison to Muslims when it comes to our faith. There is not much that we as Jews widely honor aside from our ancestors. In the commentary for this verse Rashi makes the point that we are only talking figuratively about G-d throughout this story. When we say that G-d used His hand on Egypt we are saying that G-d extended His might towards Egypt. We aren’t saying that G-d has any actual hands that He extends towards anyone. When we speak of G-d’s hand we mean that G-d directs His might towards a certain direction. Rashi also comments that when we say G-d is an “ish milchamah / a man of war” (Exodus 15:3) we need to tweak the way that we think about that. What we are trying to say that G-d is a warrior, we are not saying that G-d is a man. We are just using descriptions. G-d is not any one thing, nor does He have physical characteristics. Rashi makes this point several times throughout his commentary here. Most sensible monotheists would agree with these statements. But it doesn’t take away from the fact that us Jews are often overly intellectual even in the most passionate of moments. We are at the pinnacle moment of the Exodus drama, where G-d can be seen in all His awesomeness. This is where Moses really shines. Capturing this moment made Charlton Heston infamous, for creeps sake! And instead of reveling in this glory for our G-d and prophet, Rashi chooses to talk about what G-d isn’t. Talk about anti-climactic. The reason why is because our rabbis know how this story ends. Right now we have the people saying that they believe in G-d and Moses His prophet because of all the frightening deeds He did in saving them, but soon they will have forgotten about them and worship the Golden Calf. This stain always hangs over the story, even from the beginning. We often ask ourselves how people could be of such little faith that they forget so quickly how amazing their G-d was and descend into idolatry. For me the reason appears revealed to us in this verse. It was not because of lack of belief, it was because of a strong belief that worked against them. They believed not just in G-d, but also in Moses. The had faith in Moses so much that the moment he disappeared and they assumed he was dead they found themselves lost. (see Exodus 32:1) Once Moses was no longer there for them there was left a vacuum in both physical and spiritual leadership. In disarray they almost naturally went down a path towards idolatry. They had nothing to connect to, so they fashioned for themselves a god out of their gold ornaments using the words, “Ayleh elohecha Yisrael asher he’elucha mei’eretz Mitzrayim / This is your god oh Israel, which brought you out of the land of Egypt.” Or more literally these (ayleh) are your god. (see Exodus 32:4) When in a pinch and asked to show what they really think their G-d is they hold out their gold and declare that to be their true salvation. Before we get too attached to anything or anyone our rabbis, even in middle of this awe-inspiring moment, choose to tone down the enthusiasm. They make the point that the nouns we use for G-d are irregular, because G-d is not a true noun. We can’t point to any one thing as being G-d, or any one person as being our guide towards G-d, because if we get confused we can start pointing at the wrong things. horse and rider he hurled into the sea. | sus verochevo ramah vayam. I find this absolutely fascinating, especially in light of where the commentary of Rashi has gone so far. Rashi has gone far out of his way to make sure that we understand that G-d is not corporeal nor has any semblance of actual physicality. He harps over and over again on this point, that the voice of the Torah is just being figurative. And then he throws this zinger at us, he has the Israelites literally pointing at G-d with their finger! It may seem odd why he goes there, but if we consider it the word zeh (this) – it has the same tendency to come with a hand motion as the word ayleh (these). Rashi says that in this one moment of glory people were able to perceive G-d so intimately, so closely that they were literally able to point toward Him. We need to ask ourselves, what is that Rashi means by this? If we are not talking about a physical form, as G-d cannot be described as any one thing or thoroughly by anyone, how is it that they are able to point towards G-d? I believe the answer is found in the words “vayehi-li lishu’ah / and He has become my salvation” that precede their point and exclamation “zeh Eli / this is my G-d.” When they pointed to G-d they had no form to call attention to, the only evidence was His deeds of salvation. They pointed towards what G-d had done for them and they exclaimed “This is my G-d.” They were declaring if one wanted to see their G-d, the only thing they needed to see, in fact the best demonstration of Him was through the things that He has done for them. My friends, when we consider our Jewish faith I want us to stop judging it in light of the characteristics of other religions. We need to not be disturbed that G-d may be lofty and abstract in our faith. Yes, we worship a G-d that we cannot depict in any manner and whose Name we cannot even intone. There may seem like there is very little personal comforts of religion, it demands a higher maturity of us that not always so comforting. We are called to faith in a way that may seem as sobering as telling a child there is no Tooth Fairy. But it doesn’t have to be that way for us. Sometimes biblical interpretations clash when it comes to explaining certain terms in the scriptures, namely because of one’s preconceived world view. Very rational people will see everything as something naturally occurring and a person given to belief in the supernatural can tend to see all things as providence. I tend to be somewhere in the middle, not completely given to either school of thought. I think most of us are. Now, I do have many friends that are very prone to loving fantastical interpretations of the Torah. Interestingly, not all of them are necessarily religious people or partial to the miraculous. They just like the thrill of keeping the story larger than life. We aren’t exactly sure what the term se’irim means. But for the most part this is translated as demons, as is seen in the King James Bible and is thus the most widely received understanding. Even bible skeptics will insists on this translation, in the same manner they insist the nephilim references only be understood in light of the folklore simple because it’s juicy material; they rather debate with stuff fit for Ancient Aliens as its a better straw-man, easier to quash than serious scholarship. Now the rationalists among us can find a alternative meaning presented to us by citing this same verse. Here it will be understood by our tradition to mean demons as well, that dwell in the ruins of a fallen city, encroached upon by the animals of the wilderness. And on this note the naturalist will point out that the se’irim are mentioned in the middle of a long list of desert animals; wild-cats, ferrets, and ostriches before it (Isaiah 13:21); then jackals and wild-dogs after it (Isaiah 13:22). It is therefore very logical for us to assume this is some sort of animal, there is nothing to suggest otherwise. and I am a smooth man. What are we talking about when we use the word satyrs? We are talking about something like fawns (as in The Lion and the Witch and the Wardrobe), however more precisely this term goes all the way back to ancient Greece where the god Pan is described as being half-man, and yet half-goat on the lower half of his body. 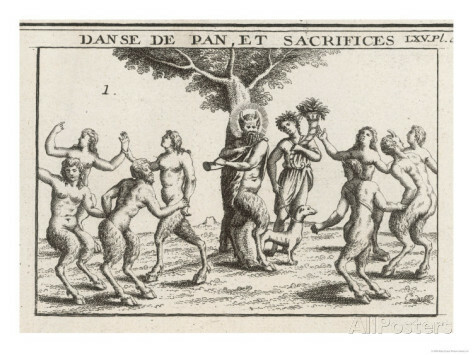 Pan being the god associated with nature, fertility and spring became so recognizable as symbolic of the ancient gods that he became the universal symbol of Greco-Roman romanticism several times throughout history. Interestingly this symbol has also been similarly associated with classical satanism (belief in devil worship, the concept of a personified evil as prescribed by religious dualism), as the satyr’s form is clearly unnatural and pagan. But given the options you would wonder why JPS would give such an exotic translation. Truth be told, even though JPS does not mind saying they don’t know what the meaning is many times when the text is unclear, they too follow the rabbinic and midrashic tradition of interpretation. To some extent it is also true that they have tried to not make waves with the “Authorized Version” (meaning King James Bible) that English speakers were accustomed to use before it. But this choice here is in keeping with our tradition, and for this reasons not completely unfounded. There are two suggestions being made to us here; that they made sacrifices of seirim (goats) and calves. But not only that, that in the days of the revolt of northern Israel from the kingdom of Judah they rejected the religion of Israel and the Levitical priesthood, with the people once again degenerated into worship of idols of calves and goats; “asher asah” which they made, which they crafted. This meaning might be news to most of us, and I admit it seems like I’m going out on a limb here, but its not if we really consider it for a minute. If we look at this verse from our parsha it tells us that the people are to no longer offer sacrifices unto the satyrs – goat beings. Not to just not stray after them, but “asher hem zonim ach areihem / after which they still stray.” How can they still be straying after this type of idolatry when we have never heard of it before in the Torah? My suggestion is this, we actually have heard of it before, but indirectly. When before have we read in the Torah of people making an idol of an animal and then offering sacrifices before it? That’s right, the egel ha-zahav – the golden calf. (see Exodus 32:4) Thought we don’t hear of the people worshiping and sacrificing goats before, especially to idols made in their likeness, it appears that the children of Israel did in fact do so or they wouldn’t have been prohibited from continuing to do so. Its not hard to imagine, they did exactly this for calves. The reason why we probably never hear of this before, is because the exodus story so far is trying to deal with primary topic at hand; that of removing the people from slavery, and removing the symbols of that slavery from their mindset in the wilderness journey. The symbol of the calf represented an obvious old way of thinking, but the goat less so. If we examine them both the insight enlightens us to the meaning of this verse. But there was more than just a secular mental connotation, the symbol of the calf was intertwined with the symbol of Hathor (and intern, Isis) – the mother goddess who carried the sun disk between her horns – she was a symbol of rebirth and fertility. According to their mythology, from this cow deity the Pharaohs would suckle nutrients and intern (in a trickle-down effect) these blessing and providence would flow to the people under him. For the Egyptian the calf was central in offerings for worship and in being worshiped. In worshiping the calf the children of Israel were resorting to the old ways of thinking, finding comfort in the old religion and mindset. This was the primary theme of the exodus story, that the children of Israel come out from under that both physically and mentally. Now if we examine the Egyptian significance of the goat, we are not left without some pretty good examples of goat worship. 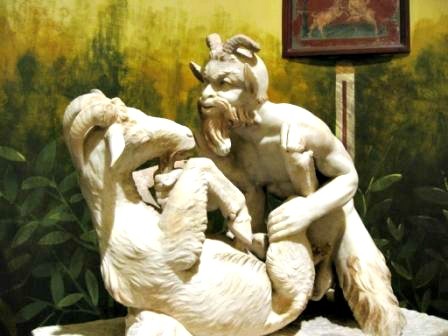 In fact there was an entire cult centered around worship of the goat and the satyrs in the north Egyptian town of Mendes. There the satyr would become associated with the symbol of Zeus there as well, to whom they would adorn with the head and pelts of a ram. These associations will grow with the more north and the more to the present we come with our mythology (example, the mascot of Thor is the goat). But at the time period of the exodus this symbol of the goat is not yet synonymous with norther paganism. It goes back to something older, and something they apparently came in contact with again once they reached the highlands of Sinai. You see, unlike in the case of the Egyptians the goat was the central economic currency and lifeblood of the Bedouins who traveled with their flocks of goats. Unlike Egyptians the Bedouin could not herd cattle on huge tracks land, without land they raised hearty animals they could keep on the move. You can’t push goats, but they migrate quite well. And when I say goats are hearty, I mean they are tough. They eat almost anything (don’t leave out a tin can or they might even eat that, really). They can even be outright mean. No matter how small their horns are, they can get you something fierce! Its the fierceness of the goat symbol that seems to prevail, and in each incarnation going forth we are going to see a scary symbolic nature of this animal taking shape. The reverencing of goats does not stem from or lead to a gentle and nurturing concept of the divine. Instead the apparent reverence towards this concept of deity is going to be based on fear and terror. So much so that going on through out the books of the Neviim and the Ketuvim – the Prophets and the Writings – the symbol of the goat is going to be irreversibly intertwined with the symbol of devils and demons in folklore. This idea is compounded as Edom, the Greeks, the Romans, etc. all continue to be epitomized by the symbol of the goat; people who worshiped idols we do not mind calling false gods, and demons. We only need to look at the capriciousness and inhumanity of their gods to validate why we can so easily can call them devilish. So much has happened to the children of Israel since their days of simple and tranquil goat herders like Yaakov Avinu – Jacob our Father – that now at this point in history the goat is a symbol of fright. Though there are among our sages those that say the reverencing of the goat in the mind of some people was not necessarily occultic idolatry, they suggests that the cult of the goats was just another way of people trying to connect to the spiritual for protection. (Sforno) In the same way the people didn’t necessarily worship the calf, they just used it as a medium to direct their worship towards the Divine (Rambam, Guide for the Perplexed); so too it was with the goat. This might hold some truth to it, because we do see this come up after the mentions of the different sacrifices that include the goat, including the atonement sacrifices of Yom haKippurim – the Day of Atonements. The symbols and elements of the holy worship of G-d became mingled with the fears and ferocity of the new desert experience. They reverenced it; but maybe a little too much, to the point that the new situation they were in reawakened a primitive fear that had be there under the surface for a while. During this Omer period I hear a lot of people talking about getting over the tendency to “golden calf it,” to rely on our old comforts and ways of doing things that hold us back from really being free people. But I think its also important that we don’t try to “buck” our spirituality either; that we not give in to fear, fierceness and ferociousness that twists it around. Most certainly we shouldn’t give in to fear that makes us want to see something as ugly, harsher and more unnatural than it really is.